First of all – I have to excuse my language – I’m Swedish, and will not always be able to find the right words. After several years of increasing symtoms some of which worsened severely a couple of months ago, I finally found “Cushings disease” and recognised most of the symtoms. I’ve suffered from severe depression and thereafter adrenal burnout, and have explained most of my problems from this point of view. It’s “only” stress related, I’ve thought to myself. I’m very easily bruised since several years. I wake up several times each night and it’s often very hard for my to fall asleep again. My skin is very dry and thin and looks like paper on the back of my hands and on my lower legs. My cheeks are always red, as well as the front of my neck. Inflammations won’t heal. I’ve had stressfractures in my left foot twice the last couple of years. The last two months my strength has decreased a lot! I’m always thirsty and pee a lot. I live extremely healthy (Exercise, eat good, hardly any sugar, exercise bodyscan/meditation, minimum of alcohol – my day ends extremely early) – all in order to manage my part time job, and my two children who are in great need of me. And now we’ve found that my cortisol is high (urine and blood), ACTH is high and I’ve been a patient for a couple of days for several bloodtests, another urinetest and dexamethasone-test. Tomorrow I’m scheduled for an MRI, and next week I’ll see a doctor to get the results. It seems that I’ve got Cushings – and my first feeling was a sense of relief. All this suffering all these years, and I’ve always thought that I wasn’t trying hard enough. And the explanation was that something was growing in my head that they would be able to cut away. And the tumour is almost always benign. But having read some stories on the internet I’m suddenly scared. I realize that you are in deeper need of writing if you don’t get well, but still I’m suddenly very scared. If anyone out there is a “success” (when it comes to getting well again) please respond. I desperately need hope. Amanda Paxton, aged 41. From Auckland, New Zealand. Grew up in California. Currently living in Doha, Qatar, Middle East. This is like speed dating :). Skinny and healthy until my 20s, started gaining weight, it took 5 endocrinologists and 12 years of increasingly agressive symptons to find the tumour. They kept telling me I had PCOS and needed to diet and exercise more – how often have we all heard that?? It was so frustrating. Countless trips to naturopaths and kineisologists and chinese herbal doctors and nutritionalists and dieticians and weight management specialists. Countless diets – South Beach, Atkins, Dukan, Weight Watchers. Found the tumour just before my 35th birthday. Successfully removed it (biggest one the neurosurgeon had seen) transphennoidally. Had less than a year on synthetic steroids – hydrocortisone. Periods returned – have had 2 beautiful daughters post surgery and one beautiful daughter pre surgery. 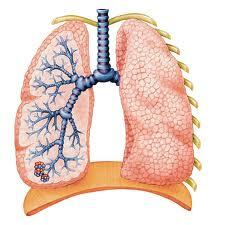 We now think there is another tumour as symptons have returned. Unexplained weight gain, no loss with diet and exercise, hair falling out. Should have test results in a couple of weeks. I have an amazing life with a great family and I am really healthy, except for weighing 100 kilos. My biggest concern is not being here for my family or developing diabetes or heart disease esp with the weight. I will keep you posted. Nice to meet you. Would love to hear from anyone who has had 2+ surgeries with any advice. He said she needed to start focusing on looking after herself a bit more in her long journey with tumours of the pituitary gland. “I have a tendency to do too much for other people,” Mrs Dines said. The altruistic devotion is central to her being nominated in the community spirit category in the 2013 Pride of Australia awards. “There is no end to the depth of Kellie’s passion for people in need,” her testimony said. Mrs Dines, 40, is the wife of Brad, mother of Carter, 10, and Hunter, 5, and has lived at Teesdale for two years after having spent her formative years growing up at Wallington and attending Geelong’s Matthew Flinders College. She spent 17 “hideous” years battling mystery ill health and receiving all sorts of diagnoses before the discovery of a non hormone-secreting tumour surrounding her pituitary gland, at the base of her brain. 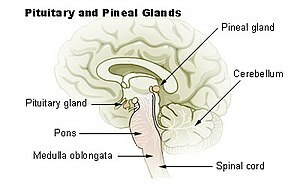 The pituitary gland secretes hormones that influence the workings of many other glands. She has twice undergone delicate surgery attempting to remove the tumour and now it is growing around her carotid artery. Mrs Dines’ community devotions have ranged from volunteering at three consecutive Australian International Airshows to inspiring a Black Saturday bushfires appeal that generated two truckloads of food and goods for fire victims, and volunteering as state co-ordinator for the Australian Pituitary Foundation. After having shifted to Teesdale, she started co-ordinating money-raising efforts for the community’s pre-school and primary school and ran money-raising events for a local single mum contending with breast cancer and a family that lost a child. She said nomination in the Pride of Australia awards was humbling. “But it’s not why I do things,” she said. Nominations in 10 Pride of Australia award categories close on Tuesday. I’m a 33 year old female. I have 3 young boys ages 8, 5 & 2. About 1 year ago I started suffering from chronic fatigue to the point of crying halfway thru my work day not knowing how I was going to make it thru the rest of the day. I went to my primary physician who stated I might need to have my thryroid rechecked. I was previously diagnosed with hypothryroid but on a real low dose of Levothryroxine. He ran some blood work and the test came back normal but with deficiencies in my B-12 & Viamin D. He suggested I try a multivitamin. I went out and splurged on the best vitamins I could find but they were of no help. I returned after experiencing palpitations and dizziness. I was then diagnosed with Vertigo and given meds that only made me more sleepy so I stoped taking them. I noticed I was gaining weight even though at this time I was running 3 miles 4X/wk and loging in my meals. My PCP thought I was suffering from depression because I cried at one of my appointments out of frustration because I just waned to make it thru a day without feeling tiered. He suggested I take a sleep study test to check for insomnia. The test came back cleared saying other than fallling asleep faster than usual patients nothing else was wrong. I was referred to a cardiologist becasue I was also feeling extremely cold and had a difficult time performing the same tasks I was able to do wihtout any problems months earlier. I kept insisting I had a lot of the syptoms I had previous to start on meds for my hypothyroidism but because the blood work came back normal they said they could not change my meds. I read somewhere about secondoray hypothyroidsm and requested a referal to an endocronologists. My PCP felt there was no reason as everything came back normal but I pleaded until he gave in and authorized my referral. I went to see my endocronologist for the first time and for some reason after telling her what I was experiencing she told me my issues could range from anemia to Multiple Sclerois but she also wanted to check for something extremely rare…..did not give me a name. She requested blood work and sent me home with 3 cottong swabs she wanted me to saturate between 11 pm – 12 am, stick them in the fridge and return to their lab as soon as I was done. I did this and she called me stating the tests came back abnormal and she wanted me to do another tests. She was very vague about providing me with information other than assuring me that what she was testing me for was extremely rare and it was probably false results. She told me not too panic and just go about life as usual. I came home with a 24 hour urine collection container and another round of saliva tests. I got a call from her nurse stating everything was normal. I insisted I wanted a f/u visit with the Dr. At the time of my visit she stated she was happy I had insisted on another appointment because the saliva test came back abnormal, but only on one of the swabs. This time I came prepared with a list of symptoms and my own depression screening test (I’m a social worker and knew my some of my symptoms were similar to those of people suffering from depression), she took copies but again told me not to worry. Well the more she told me not to worry the more worried I became and started researching Cushing’s the extrme rare disorder she had been telling me not to worry about. My husband came across a website called Cushing’s with a Moxie, when I started reading the blog I started to cry I felt like finally someone understood me. I still don’t have an answer by my Endocronologist but in my head I think I’ve figured it out and as silly as it sounds I’m wishing this is it, finally an answer to my symptoms.